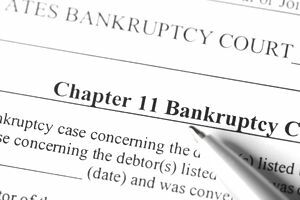 Chapter 11 is a type of bankruptcy that allows a business to continue operating while it reorganizes its financial affairs. Chapter 11 is also available to individuals, but not many individuals take advantage of it because it is labor intensive for the attorney and expensive for the client. Likewise for businesses. It is a fact that many businesses have used Chapter 11 to successfully turn around operations, but it remains a messy, expensive, and time-consuming proposition for most businesses. The rules and regulations are complicated, every step it seems requires the input of every "party in interest," and the attorney billings are mind-boggling. Furthermore, the debtor is subject to intense supervision by its creditors, its shareholders, the US Trustee, the Bankruptcy Judge and, if the company is big enough, even the news media. With this in mind, the framers of the latest iteration of bankruptcy law, the Bankruptcy Abuse Prevention and Consumer Protection Act of 2005, tried to make the Draconian Chapter 11 process a little easier and less expensive for small concerns that otherwise would be forced out of business or into a Chapter 7 liquidation. If the business is a sole proprietorship, Chapter 13 might be a more cost-effective option. There are other bankruptcy options for the small business owner. What Is a Small Business Debtor? owes no more than $2,566,050* in non-contingent, liquidated, secured and unsecured debt, but not including any debts owed to affiliates or insiders. For the complete definition, see 11 U.S.C. Sec. 101(51D). *This amount adjusts every three years and will go up on April 1, 2019. **Chapter 11 provides for the appointment of a committee of unsecured creditors. In larger cases, the committee takes oversight of the debtor in bankruptcy. In smaller cases, the creditors are often unwilling to take on the responsibility or are uninterested. Committees of other creditors, like bondholders, are also common in Chapter 11 cases. Mainly, the provisions applicable to the small business case are designed to streamline the process and make a Chapter 11 less expensive. US Trustee Oversight Rather Than a Creditors Committee: Because there is no creditors committee to provide oversight of the debtor, that's left to the US Trustee. Near the beginning of the case, the debtor must attend an "initial interview" at which the UST will evaluate the debtor's viability, study its business plan, and go over the debtor's obligations while in Chapter 11. These obligations include filing detailed reports, usually on a monthly basis, of the Debtor's financial activity, including income and outgo. The UST uses these reports to spot trends and difficulties that would make a successful outcome questionable. More "Exclusive" Time to File a Plan of Reorganization: In exchange, the debtor does not have to worry so much about creditors interfering with the operation of the business, particularly as it pertains to the proposed reorganization plan. The goal of most Chapter 11 cases is the successful implementation of a reorganization plan. In an ordinary Chapter 11 case, creditors can propose plans just like the debtor can. In a small business case, the debtor has some breathing room before the creditors can descend. That "exclusivity period" lasts for 180 days and can be extended to 300 days. This also helps to move the case along more quickly than often happens in a larger Chapter 11 case. A more expeditious case usually translates to a less expensive case. No Disclosure Statement (With Court Approval): In a small business case, the bankruptcy court can also waive the requirement that the debtor file a disclosure statement and have it approved before the court takes up the reorganization plan. The disclosure statement is similar to a stock prospectus and includes all the information a creditor might need to make an informed decision on voting for or against the debtor's proposed reorganization plan. Disclosure statements have to be approved by the court and often lead to huge expensive fights among creditors and other parties and the debtor.